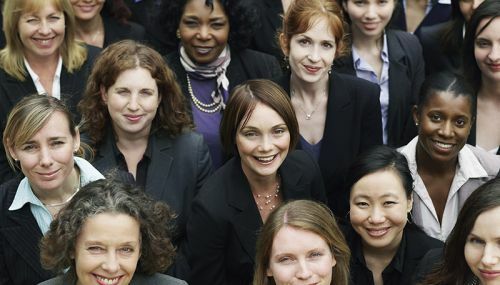 What can cohort studies show us about gender equality? Founding Director of MCS and Emeritus Professor of Economic and Developmental Demography, Heather Joshi explains in an IOE London blog, Is the glass half full or half empty? On International Women’s Day, here are some findings from our research. They point to progress, it’s true, but also to persistent inequality between men and women. The good news is that over time the average pay gap has been reducing. For those aged under 30, it’s now narrow, thanks to the way women have increasingly been matching, if not overtaking, men in education. This progress should show through as 30-somethings get on and get older. But that’s to come (perhaps). As for now, there remains disparity between men and women in mid life. Women of equal education and experience are not equally paid. Pay gaps become earnings gaps and across women’s lifetimes they are magnified because men work longer hours and spend more time in paid employment, with implications for pensions and the settlement of divorce. Our research is based on longitudinal studies, which allow us to build up a picture of lives as they unfold over time. The life histories we collect show how generations of male breadwinners have given way to today’s dual-earner couples, but women are still more likely than men to interrupt paid work or cut hours. Neither arrangement is necessarily permanent for a particular couple. What happens later to children whose mothers go out to work in the preschool years is a sensitive topic, attracting controversy. Longitudinal evidence suggested that there had been some educational penalty for children born in the early 1970s. But those were years when working mothers were a relatively new phenomenon. Evidence from later years, after the Millennium, found little such an effect on children. That may be due to changes in attitude, also the spread of maternity leave, flexible employment, childcare facilities and the greater involvement of fathers. Equally sensitive is the question whether children’s development may be disrupted if their parents’ relationship breaks down. The evidence does indeed show that children from broken or reconstituted homes often show signs of educational or behavioural difficulties. But what’s the cause? The reason is often economic disadvantages that preceded or were caused by the family change. Mothers’ depression is another important factor, pointing to the need treat families in the round. Parenting matters tremendously, in the sense that the effort mothers and fathers put in and the resources households have at their disposal are reflected in what happens to the children and in their achievements. Success in one generation tends to follow success in the previous one, reducing the chances of people from less advantaged backgrounds moving up (and improving the chances of people from better-off backgrounds staying put). Our studies showed that women’s social mobility (relative to the social class of their father) was broadly similar to men’s for those born in 1946 and 1958. It was stable. But some women born in 1970 (the most recent cohort) may have experienced more downward mobility, perhaps because they worked part time. We are looking further at the phenomenon, but it does suggest that women’s progress cannot be taken for granted or that affect all women equally. So it’s a mixed picture. Over the sweep of the postwar years in Britain, the position of women has improved and they are set to do better in future years – but at the same time, inequalities persist and will continue. Heather Joshi is emeritus professor of economic and developmental demography at the Centre for Longitudinal Studies.